Only 10mm ( 0.4") high, single turn rectangular wire. 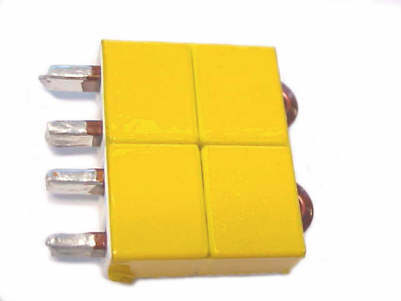 10mm height, Up to 250 Amps Power Inductors. 5) Rated Current is based on a 40 deg C temperature rise at an ambient temperature of 100 deg C. MPP cores does not exhibit thermal run-away, so a temperature rise of 40 deg C is acceptable. The core and the wire's insulation can withstand a temperature of 200 deg C.